Australia’s industrial relations system has been transformed since the late 1980s. The decline of compulsory arbitration and the onset of bargaining decentralisation have led to greater disparity of wages and working conditions in a regulatory system that leaves behind those who do not possess a strong bargaining position. Under these conditions it would seem clear that unions have a role to play in preserving minimum standards for all workers and in bargaining enterprise agreements for their members. Yet unions now represent less than one in five workers. This leaves many workplaces union-free zones. So, how can unions rebuild their fortunes? Australian unions are by no means alone in facing this challenge. And organising tactics alone will not redress core issues related to image and relevance in an increasingly individualised world. A lesson to be drawn from the success of the current political campaign to popularise unions as industrial louts is the need for some re-branding. For example, professional sporting players’ associations (who are unions by another name) have done very well in presenting themselves as a modern face of collectivism, representing workers’ interests through a mix of what are actually traditional union methods. In the lucrative world of competitive sports, player associations have managed, through collective bargaining and even the use of concerted industrial action, to obtain a larger share of the overall sports revenue pie. Large-scale industrial action in some codes has even cut short sporting seasons. Player associations are also active in promoting player welfare both in terms of health and safety in what are inherently dangerous workplaces, and in terms of player development and post-career player support. As we have seen from the AFL, health and safety extends beyond what happens on the pitch to include how coaches, teams and codes manage player welfare through the sanctioning of enhancing and illicit drugs. An important, if under-appreciated, aspect of the recent illicit drugs scandal in the AFL was the fact that the AFL Players Association (AFLPA), in its agreement with the AFL, voluntarily agreed to off-season hair testing for illicit drugs. In doing so, the players put themselves ahead of the standard that applies to players in most other sporting codes. Other sporting unions have begun programs to promote player development and support. In 2015 the Australian Cricketers Association (ACA) launched a club cricket development program, funded by an increase in player revenue secured through a media rights agreement with Cricket Australia. This use of members’ derived income as a pooled resource to assist past or uncontracted players, and to develop the game itself, sees a return to a classic aspect of early unionism, where unions were established as benevolent societies. In Industrial Democracy, Sidney and Beatrice Webb famously theorised this as the trade union method of mutual insurance. Unions (or guilds) established funds for the benefit of their members for loss of income occasioned by unemployment, accident, illness, and death. Another aspect of sporting player associations is that many of their initiatives are developed in conjunction with the employer (in this case ACA and Cricket Australia), and this shows an important aspect of successful union activity. This is known as the “partnering” approach. Studies of organisations like Southwest Airlines have demonstrated the value of a union-employer partnership model which promotes information sharing between different groups of employees, and with management. This can lead to problem solving across functional work areas. Known as relational co-ordination, this kind of negotiation was critical in allowing Southwest to pioneer its successful business model based on the “25-minute turnaround”. Efficiency was enhanced because planes spent the minimum amount of time on the ground. Other unions have been successful in advancing the interests of their members in ways that are broader than just fighting for wages and conditions of employment. 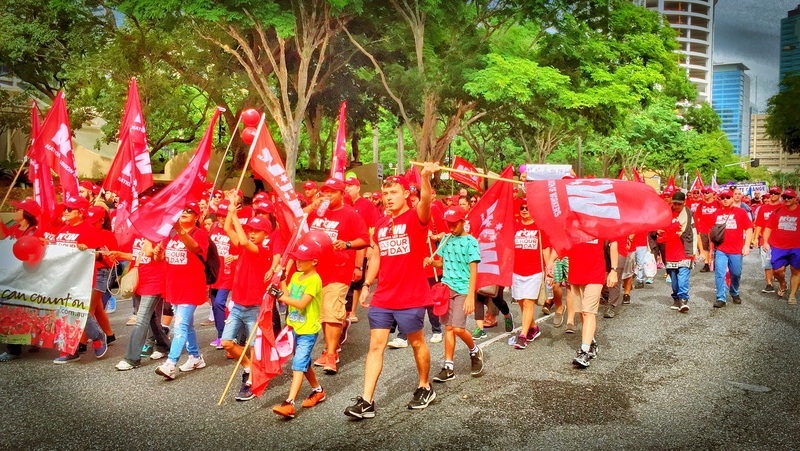 The Australian Nursing & Midwifery Federation – now Australia’s largest union – defines itself as a collective of its members’ industrial, profession, social, political and democratic interests. It has active campaigns in matters such as advocacy of public health funding for all Australians and in combating domestic violence. … nurses and midwives must use their power to take control of their workloads, to ensure safe workplaces, and to identify system deficiencies and achieve improvements … we invite politicians, policymakers, managers, and budget builders to tap into our power, listen to our nursing and midwifery voice, and collaborate with us. The key to the success and relevance of unions such as these is that they are able to effectively voice the interests of their members, with the fundamental view that workers’ interests are separate and distinct from those of management. It is about giving workers a voice. It is the belief of the AFL Players’ that, as key stakeholders, players deserve to continue to have their voices heard on all issues pertaining to themselves and the game. If promoting “voice” is the key to union success, employee voice is also a contested space in which employers are becoming active. Therefore, unions are not only under pressure from changes to industrial laws that limit their power, but also from employer efforts to establish human resource management (HRM) as a substitute for unionism. HRM offers the promise of a voice for employees through various engagement opportunities, such as staff surveys, suggestion schemes and high-involvement teamwork. However, HR engagement and voice is typically defined in the firm’s interests, so that employee voice is expected to lead to productivity enhancement. What unions can offer is a form of voice that is defined by worker interests, such as improving wages and working conditions, or even offering voice as a means of employee self-determination. Long term, the fate of unions rests on their ability to convince workers of the need for such a voice more than on current efforts to re-regulate trade union governance and behaviour. You can read other pieces in the series here.